"I bought a new iPhone recently, but a problem really annoys me a lot. In the past, it was really a piece of cake to make my favorite songs as ringtones on Android phone. However, when I changed to iPhone, I couldn’t easily set my favorite songs as ringtones. I really don’t like default ringtones. Do you know any Apple music ringtone maker?" Truly, some settings on iPhone are not personal enough. Nevertheless, it doesn’t mean we can’t make personalized ringtones on iPhone. Today’s tutorial will introduce top 3 Apple ringtone makers for you. Apple Ringtone Maker Online is a free Apple ringtone maker online to convert ringtone from MP3 to M4R. You can import MP3 file from local computer, Google disk and Dropbox. The Apple iPhone ringtone maker online doesn’t require you to download and install the tool. You also don’t need to register online. Within a few clicks, you can easily make your favorite song as ringtones. Therefore, you can ask this Apple music ringtone maker for help. 1. Open Apple Ringtone Maker Online website: https://ringtone-converter.com/. You can tap on "CLICK TO BROWSE" to upload audio file or simply drag your favorite songs to the big circle. 2. The Apple music ringtone maker allows users to make ringtone up to 39s. If you want to make ringotne less than 39s, you can drag cursor to the length you want. Click the playing button below to play the sound clip. If you are happy with it, you can click "CONVERT/DOWNLOAD" at bottom right. 3. 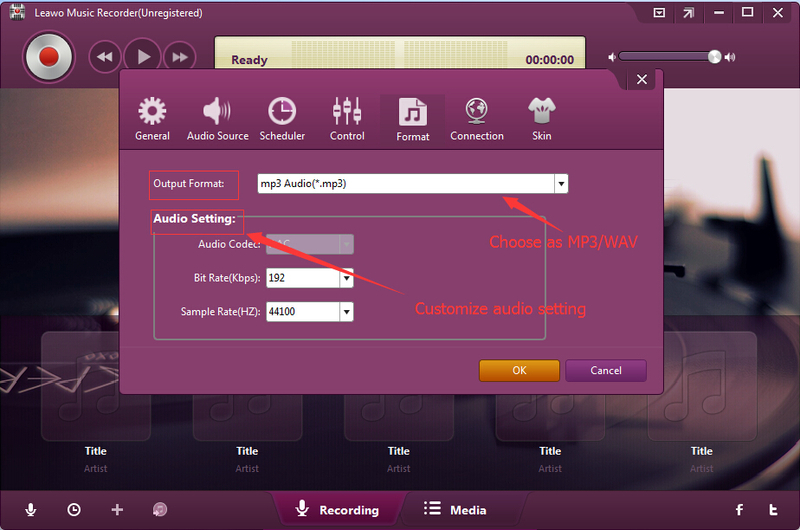 A drop-down box will ask you to choose iPhone (.m4r), Android (.mp3) or iPhone + Android (.zip) as the output format. Choose iPhone (.m4r) and then it will start converting. Remember not click "Cancel Upload". 4. The Apple music ringtone maker starts to make ringtones now. The percentage of ringtone will show on the screen and your ringtone will be saved to the default output directory. iTunes is a must-have for every Apple user and it provides the best solution to organize and enjoy music and movies. 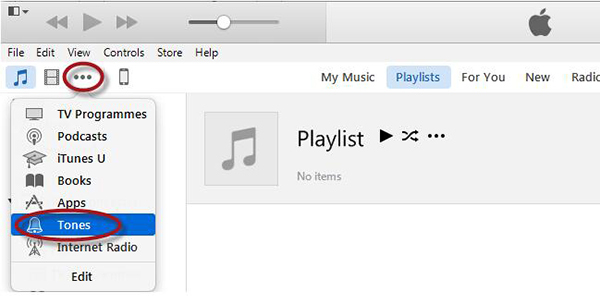 With iTunes, you can get free access to millions of songs. When it comes to making ringtones for iPhone, iTunes – Apple iPhone ringtone maker can also fix how to make ringtones for iPhone. 1. Open this Apple iPhone ringtone maker on Mac or Windows and ensure your iTunes is the newest version. Select your favorite song for ringtone. 2. 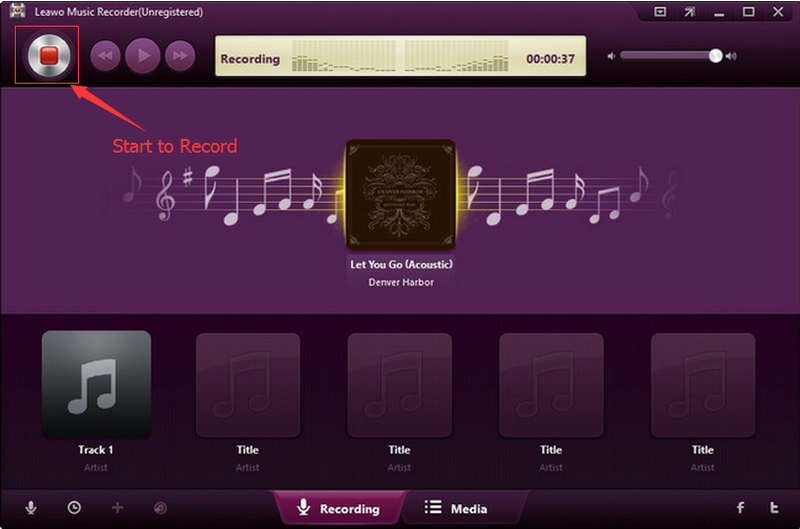 Right click the song and choose Get Info > Options to cut the song by setting the start and end time. 3. 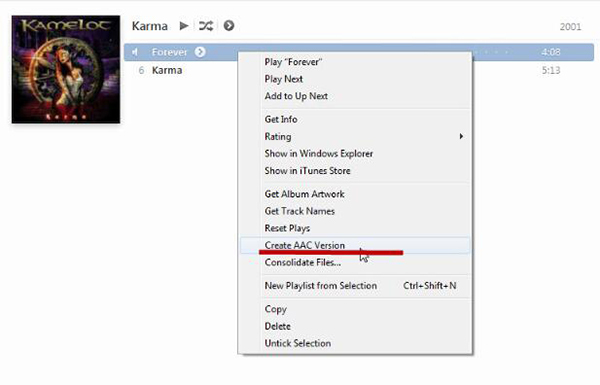 Right click the song and choose "Create AAC Version". 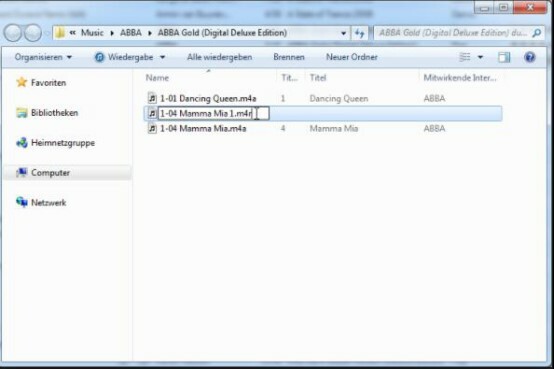 After creating AAC version, you will see the copy of the song appear beneath the original song. 4. 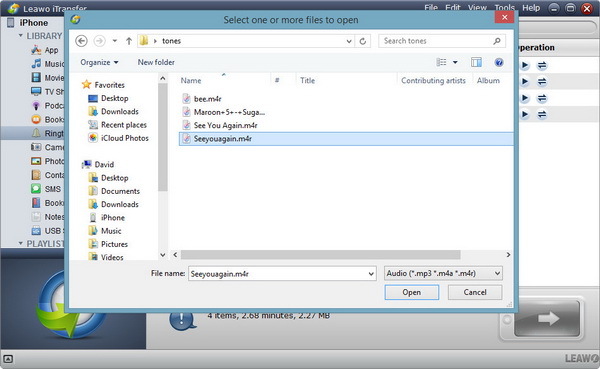 Right click the sound clip and choose "Show in Windows Explorer". We need to change the sound clip extension now. If you don’t see file extension, you can go to Tools > Folder options > View and uncheck "Hide extension from known file types". Now we can change the ringtone extension to .m4r. 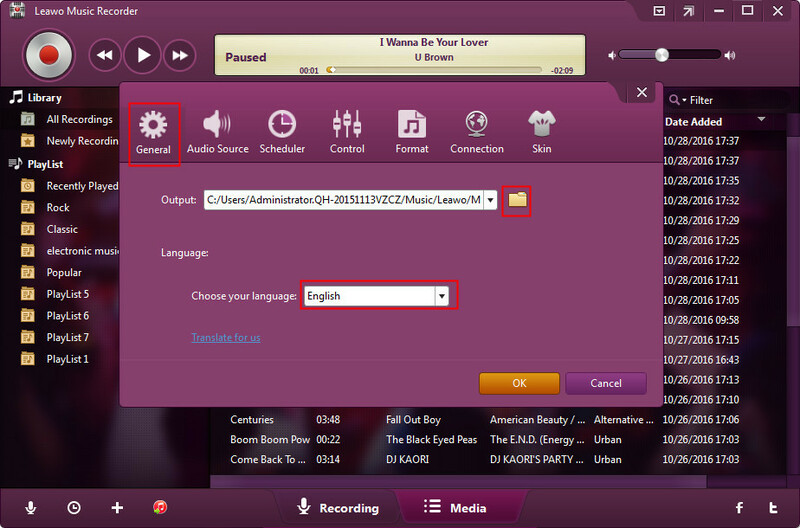 Afterwards, delete the old song clip on iTunes and upload this sound clip by clicking File > Add File to Library. You can go to "Tones" to find the ringtone. 5. Now you can transfer the ringtone to iPhone and make it ringtone. 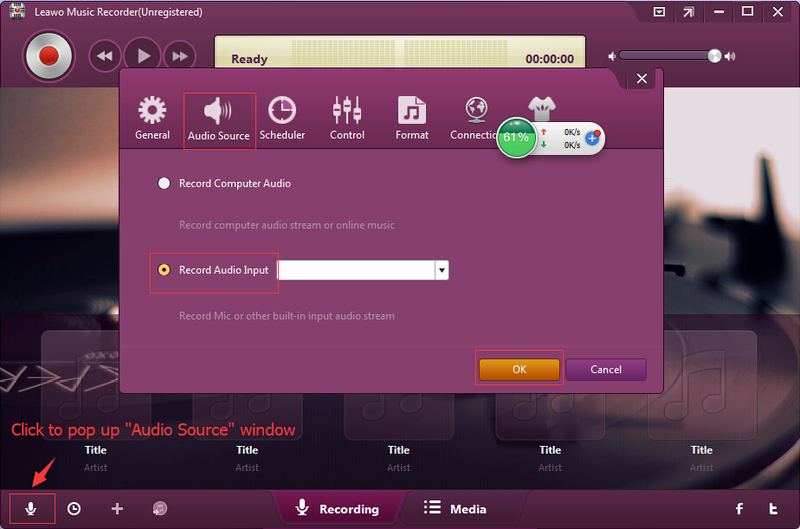 Leawo Music Recorder is an all-in-one software to record audio from various audio sources like computer audio, online audio and microphone. 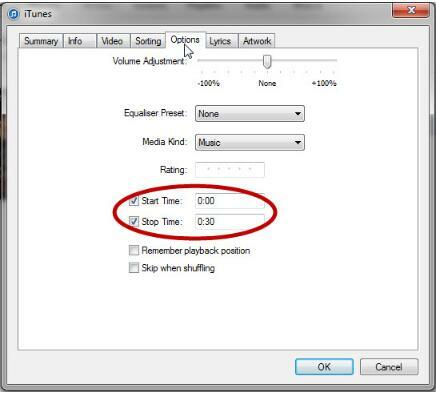 You can easily cut audio into the length you want to make ringtones. The Apple iPhone ringtone maker supports to record audio in 300+ formats like MP3, WAV, FLAC, OGG, etc. Therefore, it offers you more choices of ringtone. Besides, the rigntone maker for iPhone allows you to enhance quality by setting the parameters of bit rate and sample rate, which guarantees the lossless quality of ringtones. If needed, you can also edit music tags like title, album, year, etc. 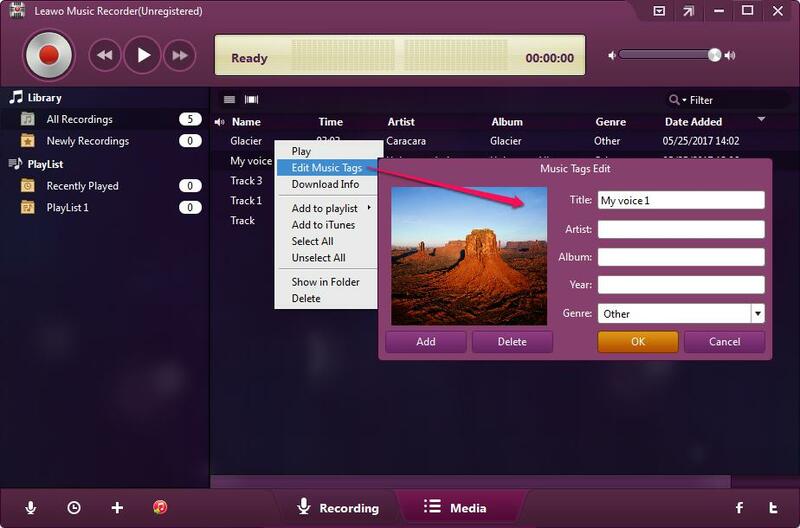 Download and install Leawo Music Recorder. Now follow us to learn how to make ringtones with this ringtone maker for Apple. Open this ringtone maker Apple and click little microphone icon to enter "Audio Source" panel, then choose either "Record Computer Audio" or "Record Audio Input" based on your actual need. Go to Format > Output format on the same panel and choose MP3 as the output format. Besides, change bit rate and sample rate to improve sound quality. Go to Settings > General to choose target output directory. You could even switch the program UI language here. Play the song you need to make ringtone until the start point you want to record and then press the red button to record at top left. Click the button to stop recording when the music plays to the position you want to stop. You have to notice that the length of iPhone ringtone is up to 40s. If you need to edit music tags, you can edit music tags like song title, artist, year and genre by going to media panel and right-clicking the ringtone to choose "Edit Music Tags". iPhone only supports M4R, so you have to change the extension from MP3 to M4R. Locate the ringtone folder and click View at the top to check "File name extension". In this way, you can see file extension. Now you can manually modify file extension as .m4r. If this wouldn’t work, you have to use some audio converter apps to convert MP3 to M4R. If you’re using a Mac computer, Leawo Music Recorder for Mac could help you easily record you own voice and other audio files on on Mac OS 10.6 and later as iPhone ringtone sources. We have mentioned to transfer ringtone from iPhone to computer the above. To transfer ringtones from computer to iPhone, we can employ Leawo iTransfer to transfer ringtones from computer to iPhone. Leawo iTransfer is a powerful transferring tool that is able to transfer all iPhone files including movies, audios, ringtones, contacts and so forth between iOS devices, PCs and iTunes. Download Leawo iTransfer and install it on your computer. To transfer ringtones from computer to iPhone, you can check these steps. Connect iPhone to computer via USB cable and run the software. You can see iPhone Library in the left sidebar. Go to iPhone > Library > Ringtones, then click "Add" at the top of right interface or right click one of ringtones to select "Add file/folder" to upload ringtones to iPhone. After uploading ringtones to the software, Leawo iTransfer starts to transfer ringtones from computer to iPhone. Remember not to stop the process when transferring. 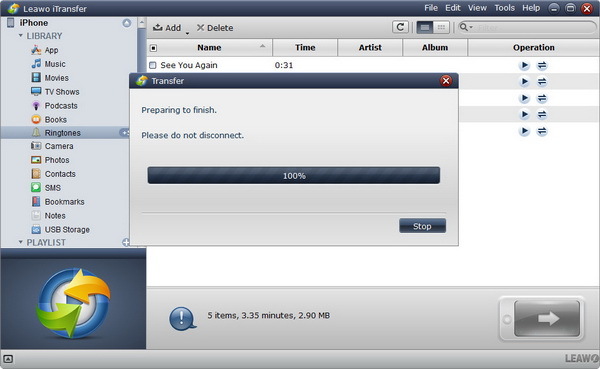 If you are using a Mac computer, you could use Leawo iTransfer for Mac to transfer ringtones to iPhone on Mac OS 10.6 and later.